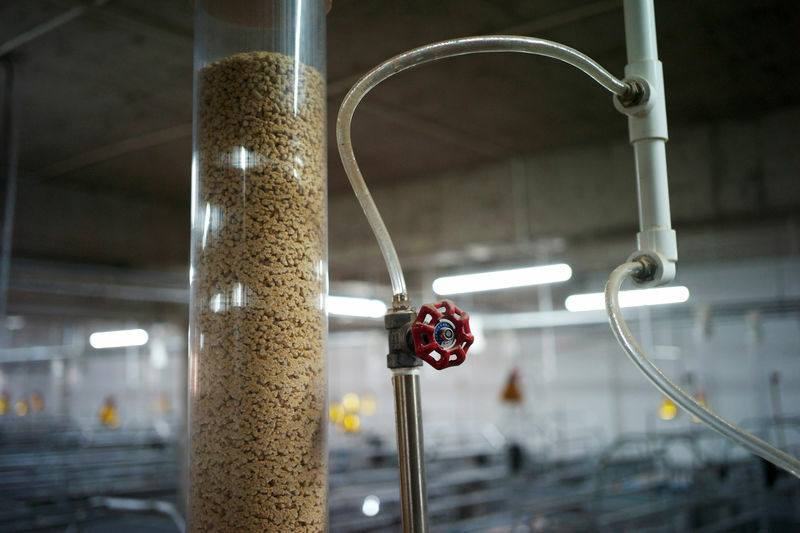 BEIJING (Reuters) – New standards on the protein content of animal feed in China will cut its annual consumption of soybeans by 14 million tonnes, the government said late last week, marking a drop of about 13 percent from the last crop year in the world’s top buyer of the oilseed. China’s Feed Industry Association on Friday approved new standards for feed for pigs and chickens, lowering the protein levels in pig feed by 1.5 percentage points and those for chickens by one percentage point, the agriculture ministry said in a statement that day. It did not say when the new standards would take effect. The ministry also said in the statement that China’s overall yearly consumption of soymeal would fall by 11 million tonnes. The country used 71 million tonnes of soymeal to make animal feed in the 2017-18 crop year. While the new standards are only guidelines, the major feedmakers have already agreed to follow them, Yang said. China consumed 71 million tonnes of soymeal in the 2017/2018 crop year, according to official think tank the China National Grain and Oils Information Center. It is expected to import 83.7 million tonnes of soybeans in 2018/19, according to agriculture ministry forecasts, down from 93.9 million tonnes the year before. China also scrapped a tax rebate on soymeal exports last week, and has recently dropped a ban on imports of Indian rapemeal, an alternative protein source. Soymeal futures on the Dalian Commodity Exchange for January delivery fell 0.5 percent on Monday to 3,365 yuan ($483.95) per tonne.